When it comes to travel, few people have better stories than musicians. Sometimes these tales come out in stage patter, as a sort of amuse-bouche before the main course, as bands banter about a song’s genesis or share a memory from the last time they played that city. But not everyone can be Bruce, and stories pile up, whether or not they get told. The best stories often come from the road, as the survival of most artists comes from touring. Every day bands emerge from the garage, the basement, or the studio, pile into a van, tour bus, or plane, and ramble on like thousands of bands before them. California girls go to Hackney, a Buenos Aires quartet touches down in Istanbul, Hampshire boys end up in Omaha, and in the time before load-in and after the encore, they occupy a different world, one flush with strangers who react to music in different ways. This column is a place for musicians — a different one each month — and their music. It’s a place to tell their stories from the road, on and off the stage, a way of turning a rear-view mirror to the world speeding past their window. First up: Haim. These three sisters from California churn out a mix of 80’s dream pop, R&B, and straight rock and roll. On a raucous run of 2012 dates through the UK — including shows with Florence and the Machine at the O2 arena — Haim stole British hearts on their first headlining tour, earning critical and popular praise and ending the year by topping the BBC’s prestigious “Sound of 2013” list. Blame the parents, specifically the father, for the sisters’ desire to get up in the air and see new places. “They don’t make them like Moti Haim anymore,” says Este. Moti (short for Mordechai) and his wife Donna Haim raised three daughters in the San Fernando Valley, but when Este was born, Moti had a tough decision to make. Along with a home, Moti and Donna gave their daughters a love for music. They taught the girls to play from the time they could hold instruments. The family even formed a covers band, Rockinhaim, with Moti playing drums and Donna fronting the vocals. 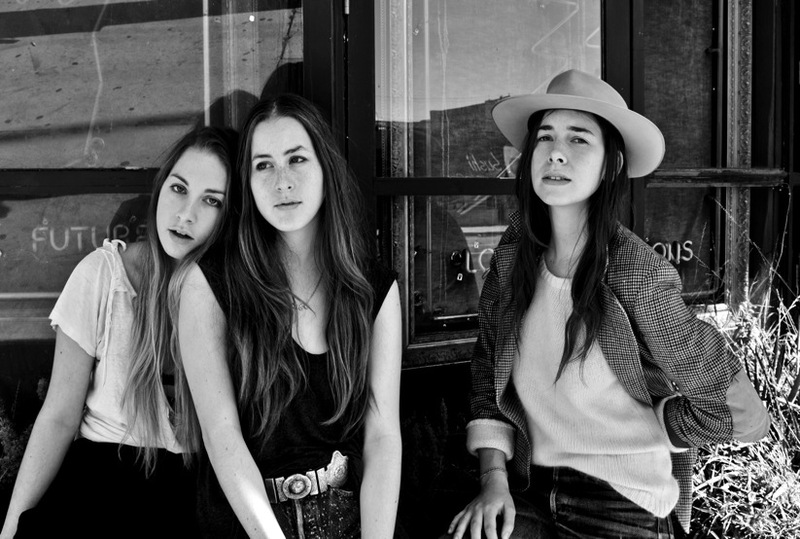 On breaks from school, the Haim family was out playing California state fairs. After school, the girls kept playing. Este went to UCLA and studied ethnomusicology, focusing on Brazilian music. Danielle played guitar and percussion in Cee-Lo Green, Julian Casablanca and Jenny Lewis’s bands. And then it happened. They were playing a show at a joint called Dingwalls in London’s eclectic Camden neighborhood. The crowd knew the words. The people were singing along. Nights like that have forever endeared the sisters to London. Este says the tour only whet their appetite for the road. The supporting tour with Mumford and Sons will only last a few dates, but as Haim tries to wrap up their first full-length album, it’s with a clear view to where their music might take them. Nathan Martin, formerly a reporter in Mississippi and an editor at the Washington Post Express, produced and wrote for Bill Bennett before taking a position at an educational technology company. Fleetwood Mac currently sits at the top of his concert bucket list.